Chiropractic care is a more natural, holistic approach to whole-health care. 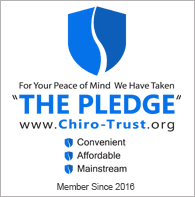 Instead of prescribing pharmaceuticals for every imaginable ailment, the chiropractic approach instead looks to treat the human body as a powerful organism for healing and self-repair. Depending on your particular concern, we will craft a thorough approach for your health’s maintenance and improvement. The expert chiropractic staff at Hanson Chiropractic will work with you to build a process for recuperation. Nothing makes us happier than seeing our patients leave feeling great after coming to us with chronic pain. We can help you avoid expensive and invasive surgeries and pharmaceuticals in favor of time-tested exercises and holistic treatments. Hanson Chiropractic offers advanced techniques to safely and effectively treat your pain. Whiplash is one of the most common injuries from a car accident which can result in chronic pain. Work-related injuries are among the most common reasons for chronic pain. Our treatments can get you back to work fast! Massage not only feel amazing, but can help address tightness and other issues that contribute to pain. Spinal injuries and disc compression are the cause of chronic pain for thousands. Decompression can help! PowerPlate™ Core Muscular therapy promotes stronger muscles and helps prevent re-injury. The Ideal Protein Weight Loss program can help you lose weight safely through proper understanding of nutrition. The Graston Technique is used to treat soft tissue damage and can help you recover from a sports injury or surgery. Your feet work every day, and poor care can result in chronic problems. Let us improve your condition with balanced orthotics. Treating ADHD in childhood through chiropractic attention can help improve your child’s focus for the rest of his life.